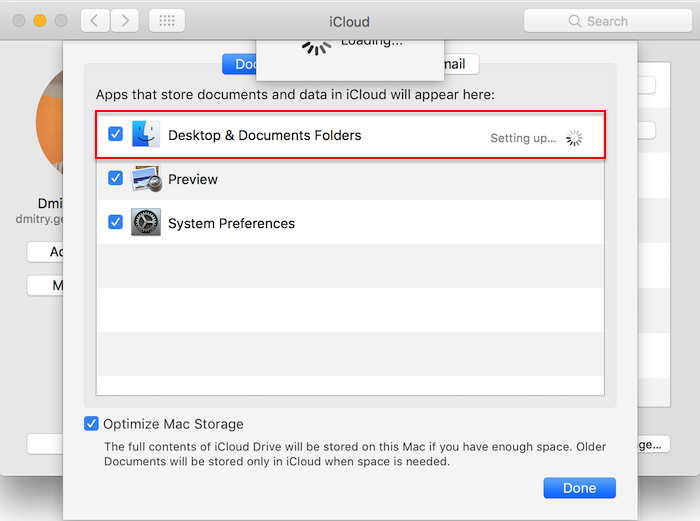 I want to enable Store files from Documents and Desktop in iCloud Drive option, but I don't want my virtual machine to be stored in iCloud, as it takes too much disk space. I want to exclude my virtual machine(s) from being stored in iCloud Drive. Parallels virtual machine(s) is stored in Documents folder. 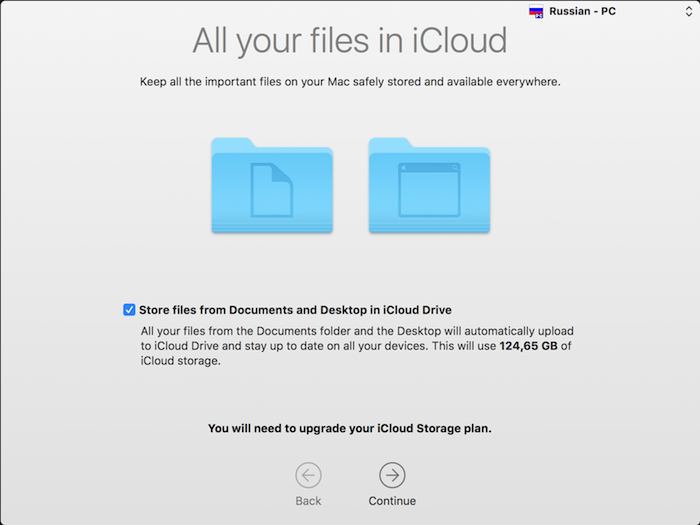 Why not to sync a virtual machine with iCloud? Common Windows virtual machine occupies around 20GB of disk space. As more you work in VM, as more space it will take. Uploading a virtual machine to iCloud might occupy an ample part of your iCloud storage. When you run a virtual machine that is located in a iCloud-synced folder, due to I/O disk operations virtual hard disk files are constantly being modified. Therefore iCloud will constantly try to upload the files, but will drop the upload once it detects that the files are changed. This leads to outbound network traffic waste. However, the virtual machine may be successfully uploaded to iCloud. Once uploaded, please keep in mind that deleting a virtual machine from one place (either iCloud or local folder) will automatically delete it from another. Make sure not to lose your virtual machine. Open another Finder window with the directory where you want to move your virtual machine(s). We recommend you create a Parallels folder in home user directory. Drag and drop the virtual machine bundle from current directory to the new one. 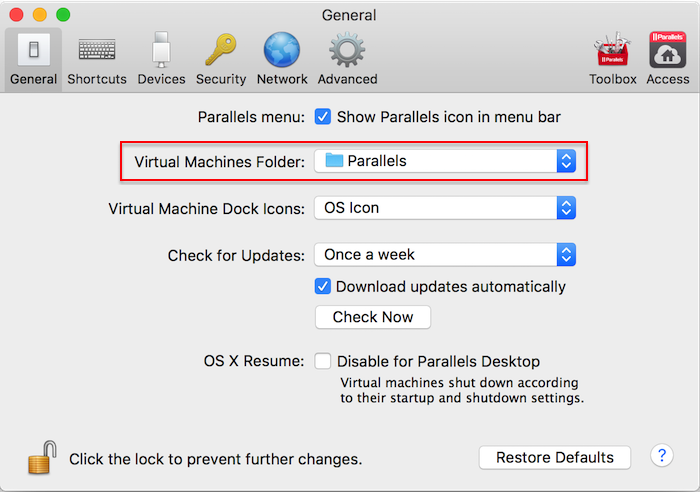 IMPORTANT: Double-click the virtual machine bundle after moving it to the new directory to register it in Parallels Desktop for Mac. Go to the Apple menu > System Preferences > iCloud > (enable iCloud Drive) > Options... > check Desktop & Documents Folders option > click Done. To change the default folder for the new virtual machines, go to Parallels Desktop menu > Preferences... > General, and specify desired location for the new virtual machines. 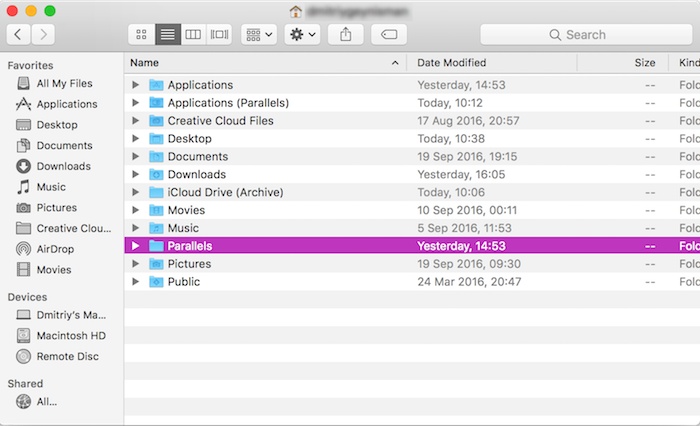 NOTE: For the new users who install Parallels Desktop 12 for Mac on macOS 10.12 Sierra the default folder for virtual machines will be /users/username/Parallels/.